The 11th APVRS Congress will begin on Friday, December 8, 2017 and last for 3 days. 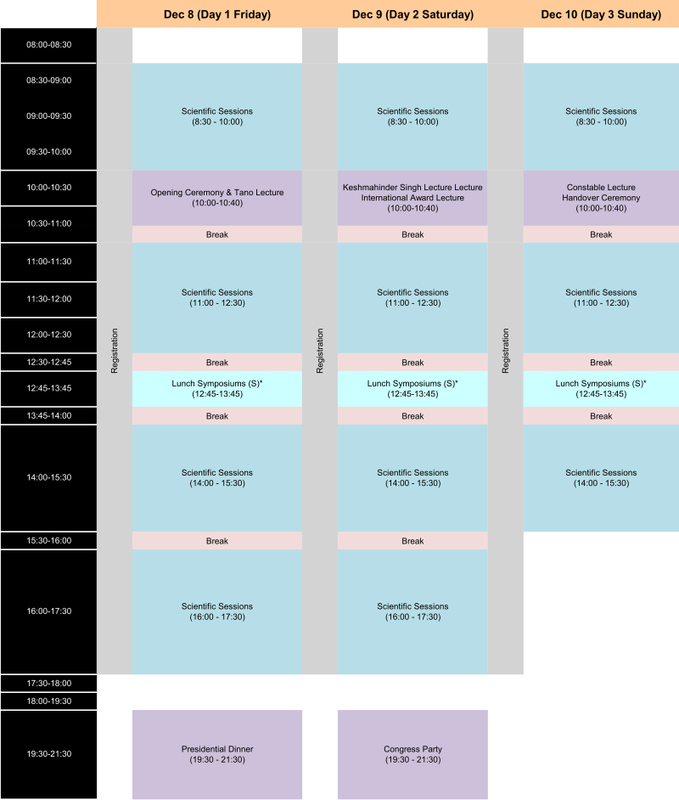 An overview of the program schedule is given below. More detailed information will be available in due course. 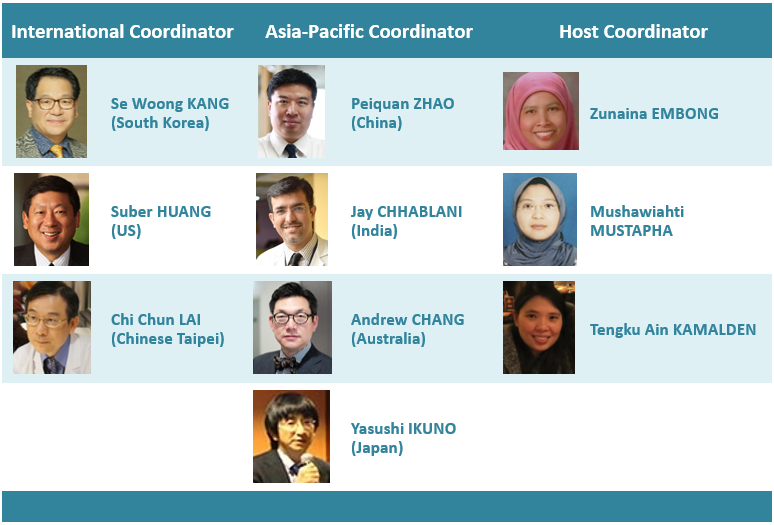 The Scientific Program Committee for the 11th APVRS Congress has been finalized. Together, committee members from the Asia-Pacific and around the world will coordinate 20 invited symposia featuring the latest advancements in the vitreo-retina subspecialty. New this year, the 11th APVRS Congress will also feature 8 invited master classes on topics including ocular trauma, oncology, retinal detachment and more. In this issue, we highlight two of our international keynote speakers who will present at the 11th APVRS Congress in Kuala Lumpur. All travelers entering Malaysia must possess a passport or recognized travel document that is valid for at least 6 months after the date of entry. Nationals of many countries, including most ASEAN countries, are eligible to enter Malaysia without a visa. However, visas are required for certain passport holders and these should be obtained from a Malaysian Representative Office before arrival. Additionally, travelers arriving from certain countries must produce a yellow fever vaccination certificate. Click here for the complete list of countries and requirements. Delegates who do require a visa to enter Malaysia are encouraged to begin the application process at their earliest convenience. After registering for APVRS 2017, delegates can generate a letter of invitation for visa application purposes via the congress system. For more information about entry into Malaysia, please visit http://www.imi.gov.my/index.php/en/entry-requirements-into-malaysia.html. Langkawi is a beautiful island in the northwestern part of Peninsular Malaysia; many people describe it as one of the most beautiful islands in the world. Additionally, the island is not spoiled by tourists, which makes it a perfect holiday destination. The island is especially renowned for its many great attractions. Langkawi offers breathtaking scenery with its beautiful beaches, incredibly fine sand, crystal-clear water and coastal mangrove swamps. The inland areas are no less striking: the tropical jungles are thick with luxuriant vegetation and will impress nature lovers looking for a pristine, largely untouched rainforest. Langkawi’s duty-free shopping is the next best reason to visit, after its extensive beaches and verdant mountains. Great for shopping enthusiasts, these venues stock a wide range of tobacco products, liquors, chocolates, sportswear, luggage, perfumes and kitchenware, among other items. The best way to travel to Langkawi is by plane. There are hourly flights from Kuala Lumpur International Airport (KLIA) and Subang Airport to Langkawi, which land at Langkawi International Airport. There are also direct flights from Penang and Singapore. For more information, please visit https://www.tripadvisor.com.my/Tourism-g298283-Langkawi_Langkawi_District_Kedah-Vacations.html.